Provide comfort for the family of Faye Stitt with a meaningful gesture of sympathy. Faye K. Stitt, 83, of Mifflin, passed away at 9:42 p.m., on Saturday, February 9, 2019, at the Locust Grove Retirement Village, Mifflin. Born August 2, 1935, in Port Royal, Juniata County, she was a daughter of the late W. Banks and Jessie (Saffell) Kennedy. On September 22, 1956, she married her late husband, Glenn E. Stitt, with whom she was blessed to share nearly 56 years of marriage before he preceded her in death on May 25, 2012. Surviving are her daughter, Glenda S. Crimmel and her husband Steven, of Harrisburg, seven sisters, Shirley Groce, of Newark, Del., Jeanne Buczek, of Harrisburg, Ruth Wynn, of Dauphin, Jessie Nace, of Mifflintown, Patricia Walters, of Port Royal, Paula Rosenstengel, of Ephrata, Betty Robinson, of Port Royal, two grandsons, Kyle D. Crimmel, Kevin D. Crimmel and his wife Brianna, all of Harrisburg, and two precious great-granddaughters, Charlotte Crimmel and Kennedy Crimmel. Three brothers, James Kennedy, William Kennedy and Daniel Kennedy preceded him in death. Mrs. Stitt was a 1954 graduate of Juniata Joint High School, Mifflintown, and a 70 plus year member of the Lower Tuscarora Presbyterian Church, Academia, where she served a deacon of the card ministries and she had taught Sunday school. She also volunteered as a Gray Lady and she had been a leader of a Brownie Troop. In earlier life she had been employed as a telephone operator for the United Telephone Co. and for most of her married life she was a loving wife, mother, grandmother, great-grandmother and sister who loved being a home maker. Following this she went to work for her sister at the Wig Palace and the Craft Corner. Faye‘s life was her family, always able to babysit her grandsons and she took care of her mother who lived with her for 15 years. She had a gift for cooking and canning and she relished nothing more than to have her family get together for special occasions. Funeral services will be held at 11:00 a.m., Thursday, February 14, 2019, from the Lower Tuscarora Presbyterian Church, Academia, with Rev. John C. Park officiating. Interment will follow in the Academia Cemetery. Viewing will be from 6 – 8 p.m. on Wednesday, February 13, 2019, from the Brown Funeral Homes, Inc., 100 Bridge St., Mifflintown and there will be no viewing or visitation at the church on Thursday. 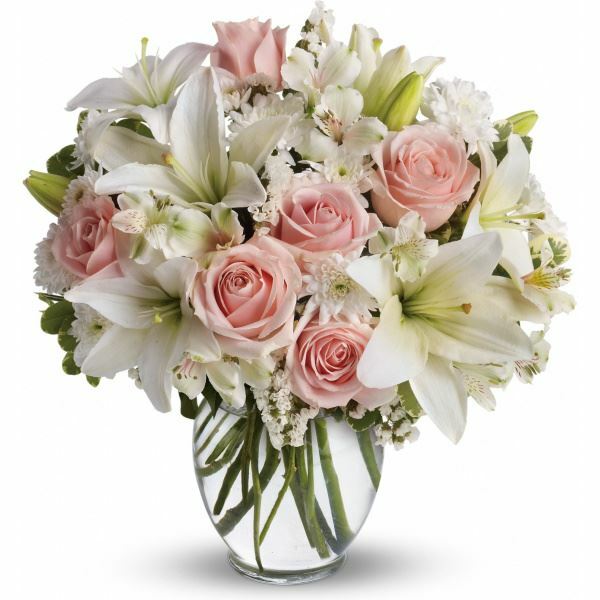 To send flowers in memory of Faye K. Stitt, please visit our Heartfelt Sympathies Store. We encourage you to share your most beloved memories of Faye here, so that the family and other loved ones can always see it. You can upload cherished photographs, or share your favorite stories, and can even comment on those shared by others. Pat and Jack Tress and Family sent flowers to the family of Faye K. Stitt. Pat and Jack Tress and Family purchased flowers for the family of Faye Stitt.